Looking for scholarships to study abroad? Federal financial aid is available to qualified U.S. students who are interested in studying abroad for a semester, a year, or even a full undergraduate or graduate degree program outside the United States. Depending on the type of program you are choosing, there are two different federal financial aid programs available. This is commonly called the study-abroad program and is administered through your current American college or university. To qualify for federal financial aid, you must file your FAFSA and meet the FAFSA eligibility criteria. Contact your school’s financial aid office to find out which type of federal aid you will be eligible to receive for your study-abroad program. This process is lengthy because there is much paperwork that needs to be done by both your current school in the U.S. and your chosen international school. Therefore, you should start the process as early as possible. Your school can also help you decide which international universities and colleges offer the courses that will be counted as credits for your major, and can advise you on any additional scholarships to study abroad. If you received any institutional scholarships from your college or university, those may qualify for study abroad scholarships too. Argentina, Australia, Austria, Belgium, Bulgaria, Canada, China, Costa Rica, Czech Republic, Denmark, Dominica, Dominican Republic, Egypt, England, Finland, France, Germany, Grenada, Hong Kong, Hungary, Ireland, Israel, Italy, Japan, Lebanon, Mexico, New Zealand, Northern Ireland, Norway, Philippines, Poland, Russia, Scotland, South Africa, Spain, St. Kitts-Nevis, St. Maarten, Sweden, Switzerland, Thailand, the Netherlands, and Wales. The federal financial aid for those students, who want to get their entire undergraduate education at these international schools, is limited to the federal student loans (a Direct Subsidized loan or a Direct Unsubsidized loan) because these schools are not participating in the U.S. Department of Education ‘Grant programs’. You must file your FAFSA to be considered for the federal student loans. For more information about Study Abroad Scholarships and Financial Aid for International Schools you may visit: studentaid.ed.gov. 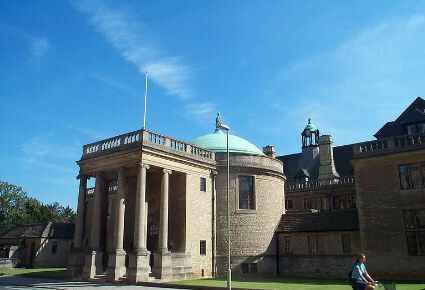 Perhaps the most prestigious scholarships to study abroad is offered to Rhodes Scholars at the University of Oxford, England.These scholarships for international students are offered to graduate students.